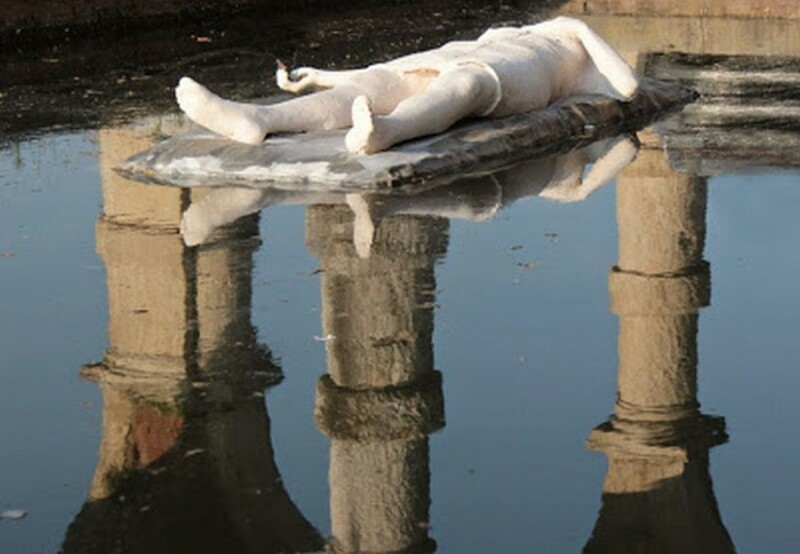 Until 28th October, more than 50 artists expose their works in the historical venetian town transformed for the occasion in an open air gallery, where sculptures and installations stand out and meld on a exceptional scenic set: the suggestive villa Contarini. Born in 2013 from an idea of the sculptors Pino Pin and Elio Armano, the Biennale of Piazzola, arrived at the second edition, confronts and links with an area still pulsing of a Baroque past and love for antiques, opening the doors to the reached and chased aims of the actual sculpture. Over 50 artists are participating, a group composed by important Italian names of international overview, whom young students from academies of fine art of Venice, Verona, Urbino and Milan can face with. Michelangelo Galliani, With Time, 2010, mixed media, cm.200x130x30. Courtesy of the artist. 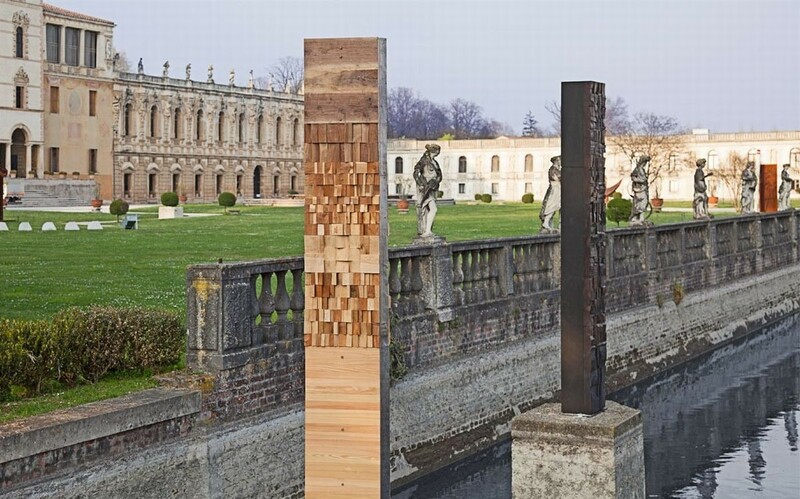 In a free dialogue between three elements, water, soil and air, 78 works invade the everyday town heart, twisting and turning among the long loggia in front of Camerini square and invading canals and gardens in front of Contarini villa. And here it is, coming up from the water Giulio Candussio’s monolithic totems and Pino Pin’s brutal and ironical hybrid beasts fighting to conquer the world, while walking among the avenues you can bump into a huge slaughterhouse industrial waste with the bovine carcass of Brunivo Buttarelli or into Franco Repetto’s tricks bumpy area. These and many more artists, including Marco Milia, Annamaria Gelmi, Alberto Timossi, Igino Legnaghi, Maximo Pellegrinetti, Vinicio Momoli ed Eloisa Gobbo, create a plein air gallery of different styles, where to find past origins reinterpreted or passed, facing to the future. An itinerary where works can be slowly lived and, why not, also criticised by a public, sometimes unaware, who is viewer and protagonist at the same time. Cover image: Giulio Candussio, Untitled 1, 2014-2015, wood burnished and sculptured, cm. 300x70x70. Untitled 2, 2014-2015, wood burnished and sculptured, cm. 300×70. Courtesy of the artist.